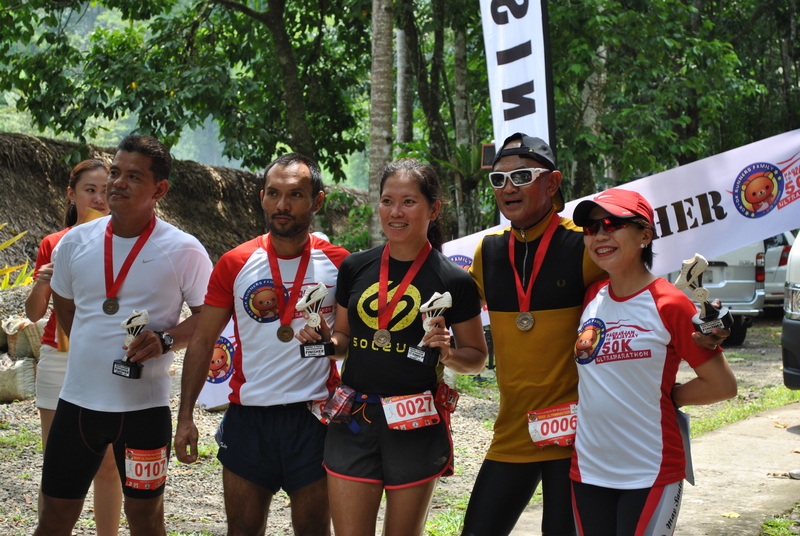 I have high respect and appreciation to the members of the OK-OK Runners Family who are very consistent in joining my Ultra Events and it was a personal decision to join their 2nd Anniversary Run which happens to be a 50K Road Race in the province of Laguna, south of Metro Manila. Although I have opted not to join road races for the past months due to my trail running training, it was time to repay this running group/club for their “loyalty” and good friendship and of course, a good opportunity to meet and “engage” with new ultra runners. I was supposed to run 17 miles/27.2 kilometers on Saturday and then 14 miles/22.4 kilometers on Sunday as part of my training program on the trails but I had to make some adjustments last weekend. 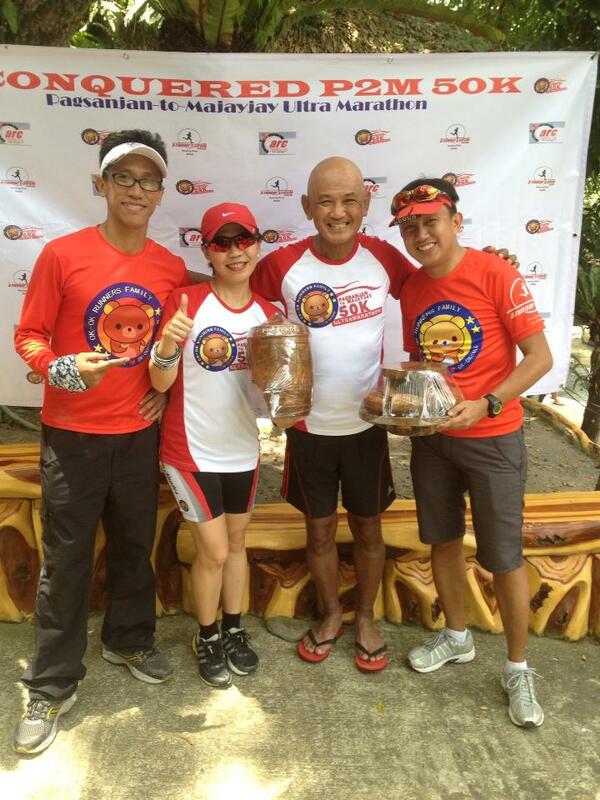 I ran for 6:30 hours covering a distance of 28 kilometers of trails last Friday; rested the whole day of Saturday; and then joined this 50K road ultra race yesterday, Sunday. What I like with the race was that the organization and race management were outstanding. They followed my Race Rules and Regulations; they have Aid Stations manned by members of Running Clubs who are Ultra Runners; very punctual with the Start Time; and fast publication of Official Result. How I wish all the other Ultra Road Races in the future will follow their “style” and efficiency. 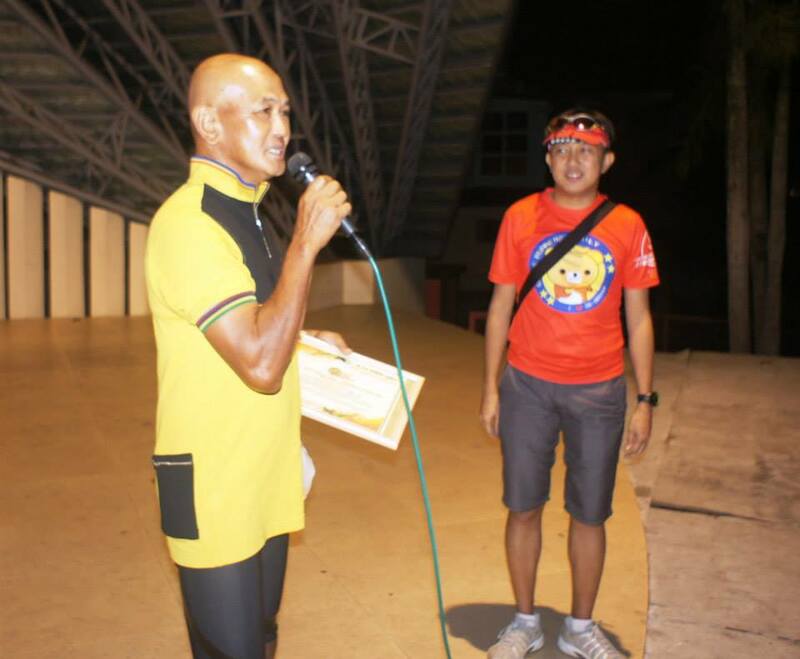 After a short program before the race where the group requested me to have an opening remarks and race briefing by Joseph Pineda aka OK OK Otek, the race started at 4:30 AM at the Municipal Plaza of Pagsanjan. I positioned myself at the back of the pack trying to maintain a slow pace for the first 3 kilometers. 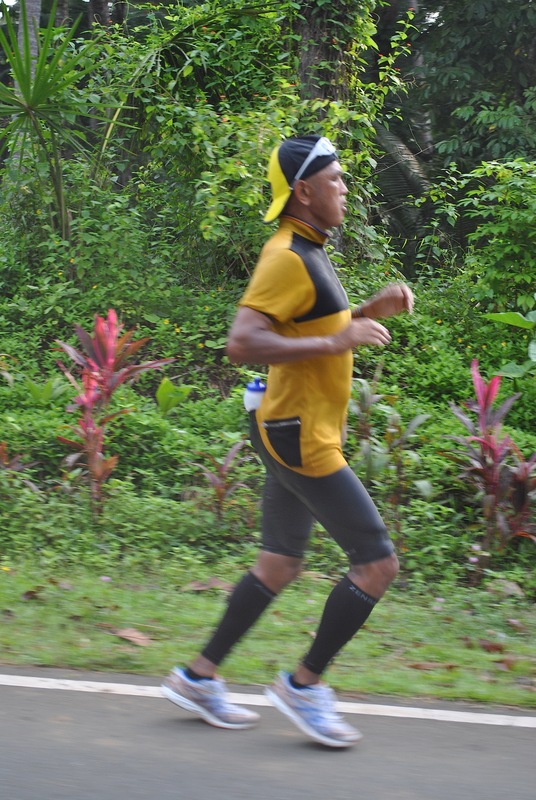 Meljohn Tezon, an ultra runner, paced with me but we were silent and did not talk to one another. We were exchanging the sounds of our breaths as we overtook runners along the way. It was a non-stop run/jog except when I would approach my support vehicle to replace my empty water bottle for a new one. At Km #28, Meljohn “surrendered” to my pace and I was running alone trying to catch other runners ahead of me. I was actually attacking the uphills and maintaining my running form on the downhills. I did not stop on any of the Aid Stations except for the last one on the last 8K of the course. Support vehicles were not allowed to enter on the said stretch. I started to run and walk from Km 43-47 due to the uphills and intense heat from the sun but I tried my best to reach the turn-around point. From the turn-around point, 2-3 kilometers were downhill to the finish line but I need to fill-up my water bottle on the last Aid Station for my last push. Smile & Laugh…This Is A Training Run! Who Says That You Can’t Wear A Cotton Shirt In An Ultra? 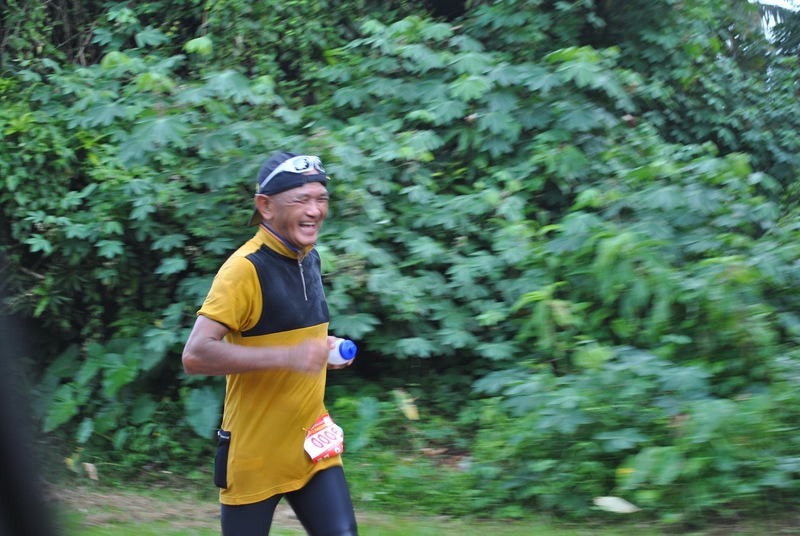 At Km #42, I was ranked as the 12th runner and I was surprised to know about it. On the last 4K of the course, I was overtaken by two runners and I tried to maintain my pace up to the Finish Line. 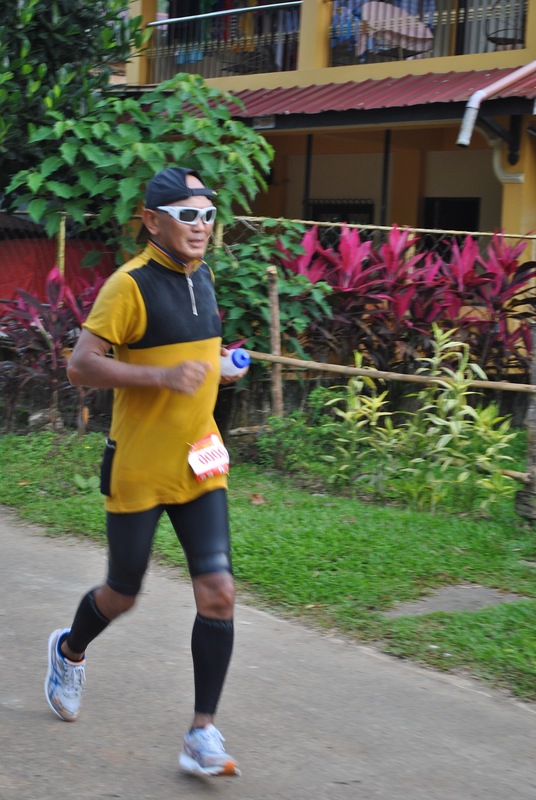 I finished the race in 6:23:21 hours, with the rank as the 14th runner to finish, improving my Tagaytay To Nasugbu 50K Run last May 2013 by 12 minutes. 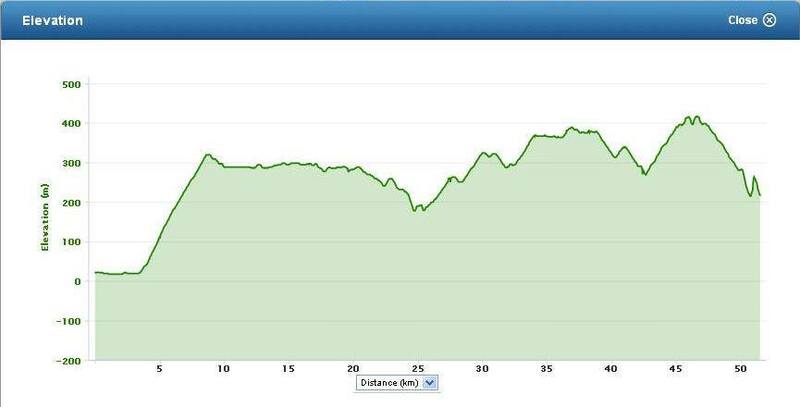 If not for the more challenging elevation profile of this race, I would have targeted a sub-6 hours finish time. 1. Good nutrition and hydration strategy during the race. Consumed two 20-oz. bottles of Perpetuem Mix; 6 pieces of GU Gel Espresso Love (one GU taken 15 minutes before start time); 4 pieces of Ube Hopia; 1 Liter of Fresh Coconut Juice; 1 Liter of Coke; and 16-oz. of water every 3 kilometers. 2. Slower pace on the first half and then stronger and more consistent pace on the second half of the course. 3. Not dropping by the Aid Stations (except for the last one) and spending not more than 15 seconds in getting what I wanted from my support vehicle and attending to my personal necessity (urinating). 4. Consistent running workouts with at least one day of recovery/rest every week. I was thinking of this race as a validation on the progress of my training program. 5. Running and hiking in the mountain trails as part of my running workout. My finish time for this 50K Race is equivalent to my time to finish my trail running workout in my “playground” with a distance of 28 kilometers. 6. Core workouts and stretching exercises, at least, 2-3 times a week. 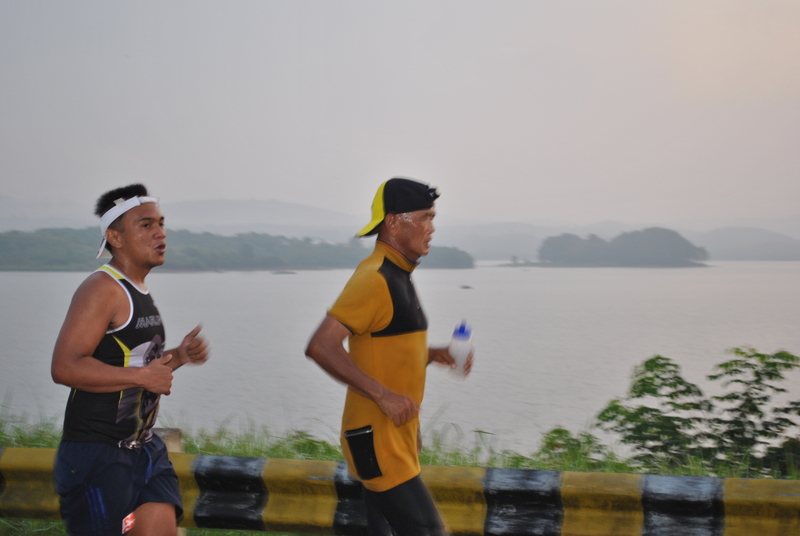 At the age of 61, I am happy that I have the speed and strength to finish this race. But my salute goes to the 67-year old ultra runner who finished ahead of me and placed #9 among the 119 runners who finished the race. How I wish I could run that strong and fast when I reach such age. 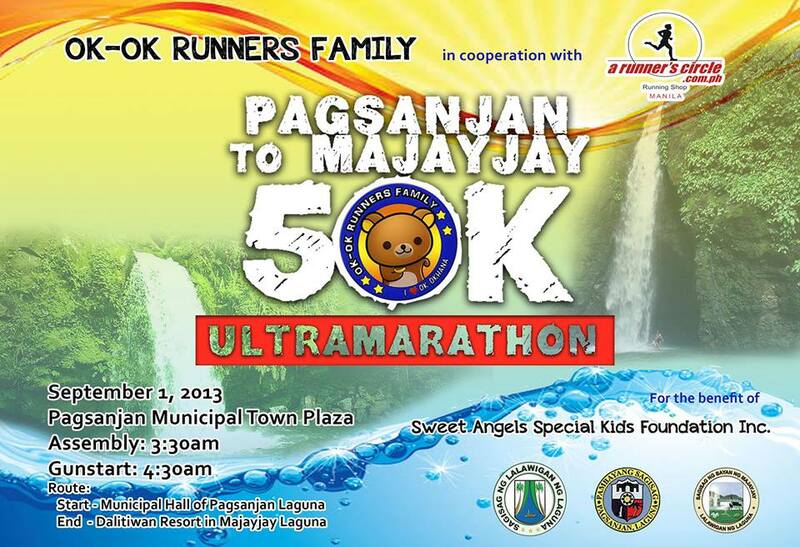 Congratulations To OK OK Runners Family! Good Job! Congratulations to the OK OK Runners Family and the Volunteers for an splendid race management and organization. 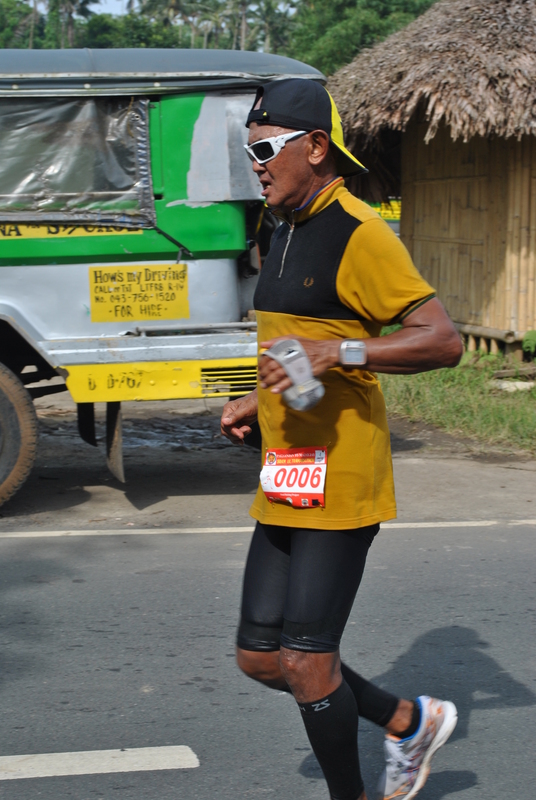 My salute also goes to all the Finishers who endured the challenging route and braving the heat of the sun. And for those who were “baptized” to the ultra running family, I personally welcome you to this noble sports of honest outdoor athletes. I will be back for the next edition of this race! Nice one sir jovie. Excellent time.